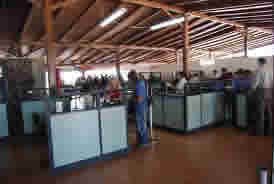 Galapagos have 2 mayor airports in the Galapagos islands , Baltra Island, and Cristobal Island, with a third airport in Isabela, which will be open in the near future. The following are the Schedule from the Airlines that serves galapagos From Quito-Guayaquil-mainland Ecuador. 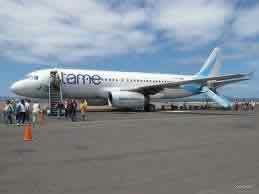 Most Airlines have daily flights from Quito or Guayaquil to Baltra Island/or Cristobal -Galapagos. Make sure you coordinate your international flights, with the Galapagos flights, which are normally in the mornings, and since there 2 main airport in Galapagos, Baltra island, (BAL), and Crsitobal island (GPS), cruises and tours start on different islands, on different days.